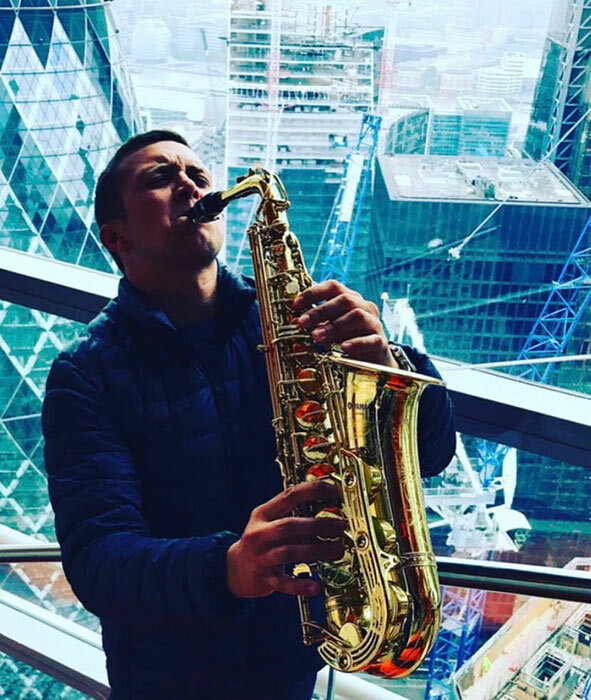 Paul Hardcastle Jr has proven himself to be one of the U.K’s most Exhilarating and sought after Live Saxophonists for Events & Studio sessions Internationally. 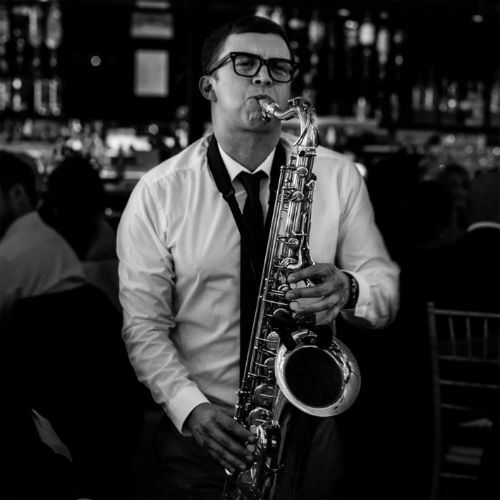 Paul possesses a #1 position on the USA’s billboard chart, has Performed Saxophone on a Grammy nominated Album and has Performed Live in over 22 countries. 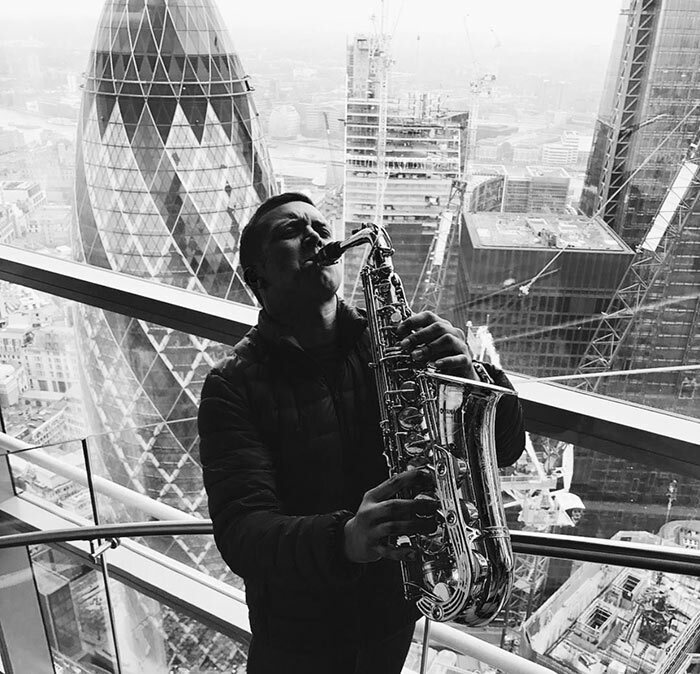 Paul’s career started as a Live Performer at just 16 years old when he began Performing in Londons Nightlife Hotspots each weekend, before then adding Performing on an International basis by the age of 18 to his resume. Since then, over the last 10 years, Paul has worked with Globally renowned DJ’s, Luxury brands, Celebrity Events & at Grandeur International Events regarding both his Performance and Event management expertise, not to mention having had multiple residencies in Ibiza in some of the most Famous Night Clubs & Chill Out Venues the world has to offer. Paul has a proven track record of Producing spectacular Events which include VIP Parties, Iconic fashion brand parties, Luxury car revelations, International Festival Performances, Celebrity Entertainment, Corporate Events, VIP & Luxury Weddings & much more. 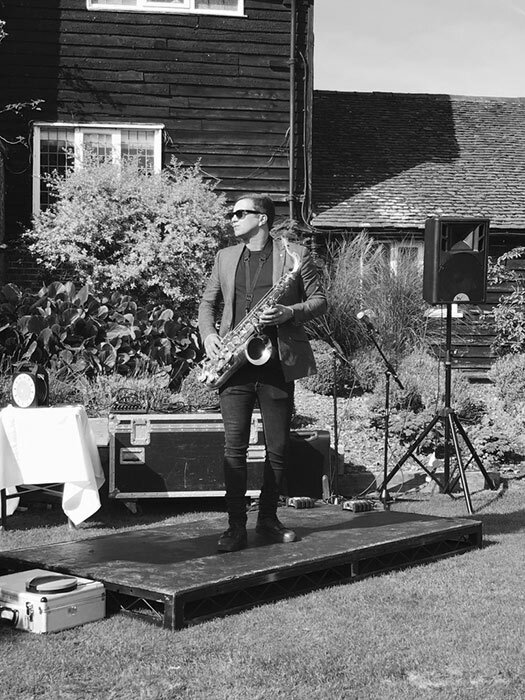 In 2017, Paul launched his brand new solo Performance titled “The Exclusive” which sees Paul DJ live, whilst Performing intermittent Live Saxophone & Electronic Percussion. “The Exclusive” is currently being Performed in the UK & Internationally for a wide range of clientele due to the fact Paul is a versatile Musician & Performer who has spent may years refining his Performances & Music repertoire. 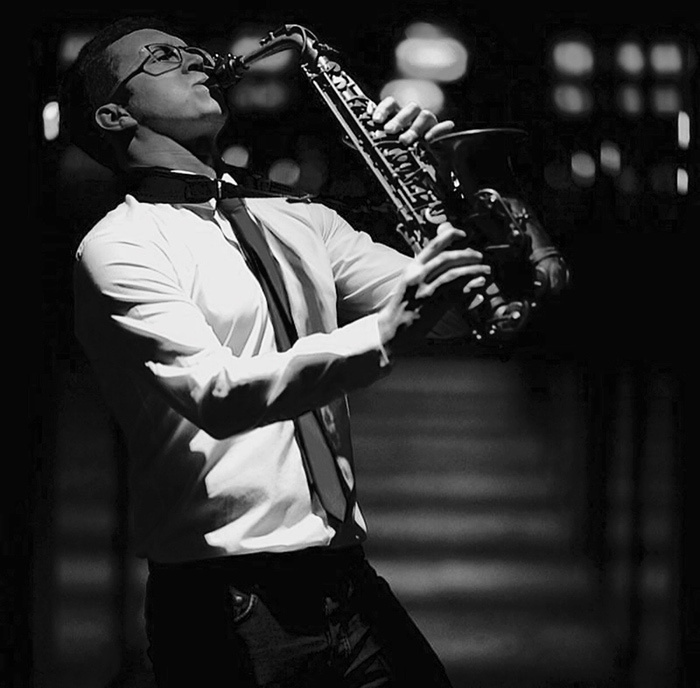 Away from Performing, Paul has also seen commercial success where his Saxophone Recordings, songwriting and Music Production ability is concerned. 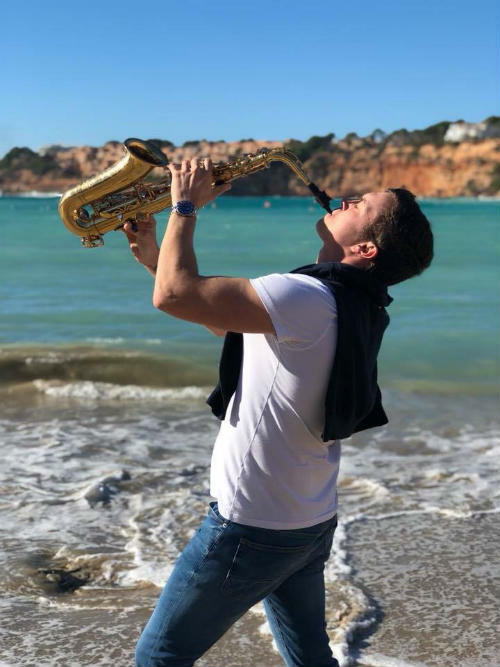 Paul’s Saxophone playing has featured on Albums for Major Record Labels such as Universal Music, Sony BMG, Pacha Recordings Ibiza, King Street Sounds New York and The Bearded Man (Armada Music). 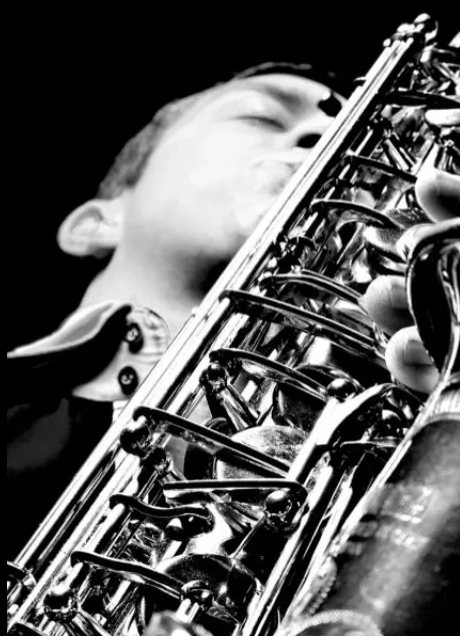 Pauls largest commercial successes have been his songwriting and Saxophone & Guitar recording on his his father Paul Hardcastle (Sr’s) Albums. Paul Sr, who has had a Professional career of over 35 years as a Music producer selling over 5 million albums who began his own career in the Music industry with his good friend and newly appointed manager, Mr Simon Fuller, who went on to manage the Spice Girls, Lewis Hamilton, Andy Murray, The Beckhams & S club 7 to name a few. 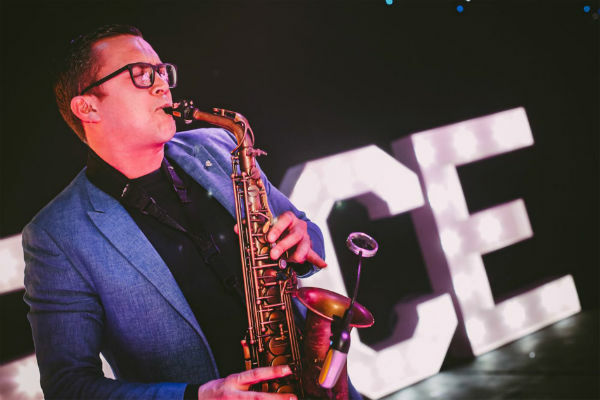 Paul has been lucky enough to have been mentored by some of the best Musicians & Entertainment managers around and is currently & continuously working to improve his Performances, Producing Live Events, Songwriting & Producing Music. ‘I’ve known Paul H Jr for many years, and have had the pleasure of working with him on many occasions. He has great talent and always added a certain class to our performances with his enthusiasm and skill.